Come in soon, your Subaru is waiting for a new home! This black wagon has an automatic transmission and is powered by a 2.0L H4 16V GDI DOHC engine. Driven via that economical motor it gets 8.8 L/100 km in the city and uses just 7.2 L/100 km out on the highway according to Transport Canada. This vehicle has been upgraded with the following features: Sunroof, Heated Seats, Rear View Camera, Blind Spot Detection, Aluminum Wheels, Keyless Entry, Starlink. 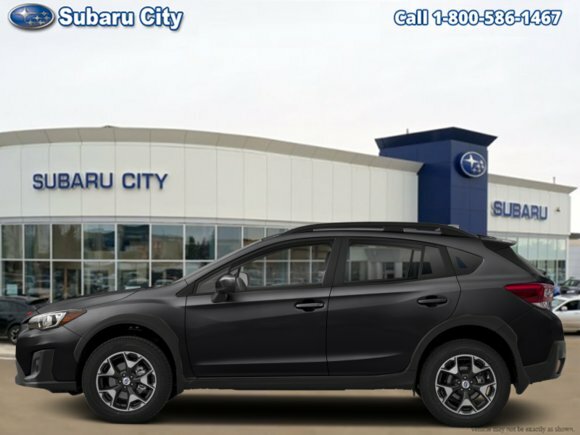 Want to try the 2019 Subaru Crosstrek Sport CVT w/EyeSight Pkg?